MTV Africa award winner M.I. reaches out to UK’s European representers, Eurogang’s SAS (Mega & Mayhem) for the remix to what is becoming an African classic, Hustle. Mega & Mayhem have been consistant with the quality of their music, they were one of the earlier artists I tipped for success, this was back when I did not even write, I was just a fan, they went on to work with Dame Dash and there was talk regarding Dipset, but all that matters is that SAS are well respected both in the UK and in USA, that is a rare accomplishment, with this track the Flygerian brothers have now justified their reputation in Africa, a good look for the two, representing the United Kingdom with two honest and heartfelt verses, M.I. has a style of his own and you can tell why this song is such a hit, so combine the two and you have an even bigger record and another step forward in spreading unity through music. Runway Fly ..UK Stand Up!! During a recent trip to New York, I asked the locals which artists in the UK they knew about, I wanted if they have the same exposure that we have of their artists. The majority knew of Tim Westwood and used words to describe him that I can’t really say but you get the point, Dizzee Rascal it seems is the most famous prospect over there, I was hoping someone would say Wretch 32 or Ghetts, however that was not the case, for ages we have had Hip-Hop dedicated radio shows, our own awards ceremony ‘the Brits’ and ‘Mobo’ give out awards to more overseas artists than homegrown, the likes of Tinchy Stryder(that was before the recent awards) Ndubz and Chipmunk are changing that I agree, however if we can know about the likes of Currency, Wiz Khalifa and Slaughterhouse here in the UK then why do they not know of our talent? There are a few reasons, their population is far larger which means more rappers, so everybody is too busy following what is ‘hot’ rather than having a real passion and allowing themselves to be naturaly inspired by a wide variety of influences. 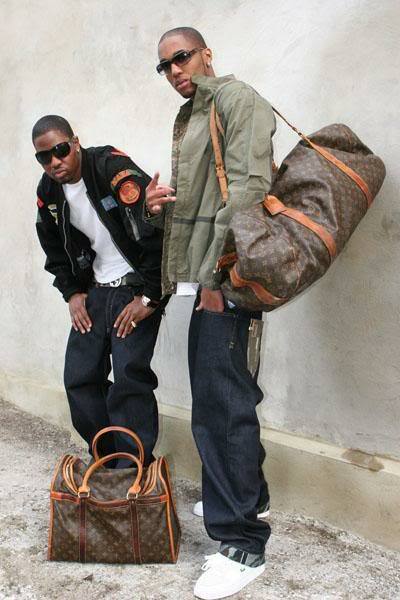 The Duo of Mega and Mayhem, better known as SAS were another name I heared a fair bit, could be due to their once affiliation with Dipset and Rocafella records, or just the fact that they have put the work in over there. This article/review is to silence anyone who argues that the UK does not possess the talent or the fact that it is because of our dialect, as Americans have a different accent to us yet for years we have been listening and supporting. After hearing this track, I felt the same feeling that I would get from listening to Wu-Tang, or even Rakim, Black the Ripper aka Samson takes it back, the production is Hip-Hop, it possesses the feeling of a classic, the potential is amazing, A real music fan anywhere in the world can appreciate this, Black the Ripper is talented and is clearly not phased by the problems many face to progress into mainstream, he celebrates the idea of being underground, using the internet to reach his audiences, he has come a long way through his own hard work and ambition, expect to hear a lot more of this artist because real talent can never be denied! Over 1 Million myspace views! !